Do I Need a Local Jury Consultant? Maybe. Here are 7 Considerations. Do I really need a local jury consultant? It's a question that I hear our clients struggle with frequently. The answer is maybe you do, maybe you don't. The gut instincts of many are that a jury consultant who regularly works in the jurisdiction will provide special insights that trial counsel, often admitted pro hoc vice for purposes of trial, could use to persuade the jury more effectively and have first-hand knowledge that will help in jury selection because of specific, local nuances. I understand the instinct, since - when going to trial - you naturally want every single advantage, and it's natural to fear that there are some things you just don't know about your potential jurors, your judge, the courthouse or the local community. While I understand the rationale, both emotional and logical, I've come to believe that such beliefs are now outdated and reflect pre-Internet thinking. Much like the need for 8-glasses of water a day, waiting an hour after eating to swim, or humans using 10% of their brains, I think these beliefs about local jury consultants are mostly stubborn old wives' tales. The reality is that human beings make decisions following the same principles, regardless of where they may live, and the psychology of persuasion, as well as individual and group decision-making does not need to be reinvented from place to place. What you need and can rely on is the best consultant with the best skills, regardless of their location. I'd like to offer seven ways of working through this challenge with a solution for you, whether you believe a local jury consultant helps or whether you believe hiring the best jury consultant is best for your case. 99 times out of 100, a local jury consultant is not actually going to add anything you need to win. I'm not saying there won't be good trivia, a story about your judge or the added knowledge of the best local diner. They will provide that. I ask though, will these things and related wisdom really help you persuade better compared to all the other bits of preparation that you could do? Furthermore, is there anything you can't figure out with a few minutes of Internet research and a conversation with local counsel that your neighborhood jury consultant might otherwise provide? You could easily learn about demographics (which are historically the least relevant to verdict preferences), insider details about your trial judge, the best local diner, an iconic local landmark, or topical issues and local news using very basic Internet search skills. You have to ask yourself, is getting local color and flavor worth it to choose to not use the very best consultant you can find? If your answer is yes, fast-forward to solution number 7. It's the data, not the consultant, that matters most. In the old-style of jury consulting, one would often see a jury consultant tell trial counsel to act a particular way, because they say so. The experience and opinion of the jury consultant was what was relied upon, especially in an unregulated industry where there were no barriers to entry. For the most part, I think this was a lot of hooey, sprung from an era where Dr. Phil, yes, that one, was one of the top jury consultants. This era, let's call it the guru era, has long since passed. Now, top jury consultants let the data speak, and work very hard to make sure an appropriate jury pool is represented and opinions are effectively substantiated by facts. That said, the data are not enough. Different abilities to interpret and apply the data set great consultants apart from the rest. See 12 Things Every Mock Juror Ever Has Said webinar. Local counsel is probably all the advantage you need. It's not to say that local insights aren't valuable. They are. Most of the time, local counsel or a local colleague can provide everything you need to maximize persuasiviness, however, especially when combined with the resources I listed in item 1 above. Hiring the best matters. Not all jury consultants are created equal. If you were going to build an iconic billion dollar building in your city, you wouldn't hire the best local architect. You'd hire the best architect. Well, we routinely deal in cases with a billion dollars at stake. But even for a case with tens of millions at stake, you wouldn't want to hire anyone but the best expert witnesses, and you wouldn't think local. Why would you do so for someone with arguably more impact on the outcome of the case like a jury consultant? It's the same reason that clients hire lead counsel in addition to local counsel. The best may not be based in the trial venue, but are worth importing into it. See, A2L Voted Best Jury Consultants and Best Trial Graphics Firm by the Readers of LegalTimes. 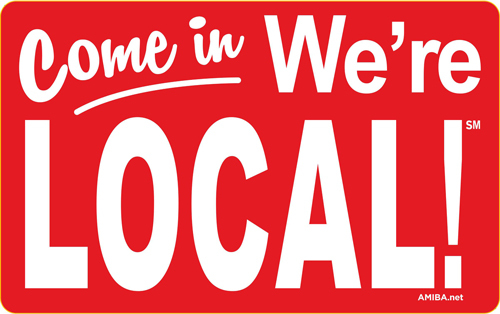 But, If you really think local is critical for your case or the client is adamant about it, and that's 100% okay with us, here's how we get you the best of both worlds. Every mock trial where a larger group of jurors is broken down into smaller groups for deliberations requires the use of more than one consultant to serve as moderators for the separate panels. We can simply engage a local resource to be a part of the team and work with them to integrate local advice. It's a good compromise approach that gets you the right quarterback and coach plus the right player to match your opposition and local challenge. Fortunately, our reputation attracts such professionals and their collaboration. Is using a jury consultant really fair to your opponent? [New and Free E-Book] Litigation Storytelling and Persuasion - 3rd Ed. Why Do I Need A Mock Trial If There Is No Real Voir Dire? Your Trial Presentation Must Answer: Why Are You Telling Me That? Is Hiring a Jury Consultant Really Worth It?